When internet users share private information, they want to feel safe doing so. One of the most popular ways to convey security on a website is by using trust badges (also referred to as “trust logos” or “site seals”). This study, conducted by CXL Institute, expands on existing research from Baymard Institute’s research in 2013 to better understand the popularity and efficacy of various trust badges online. 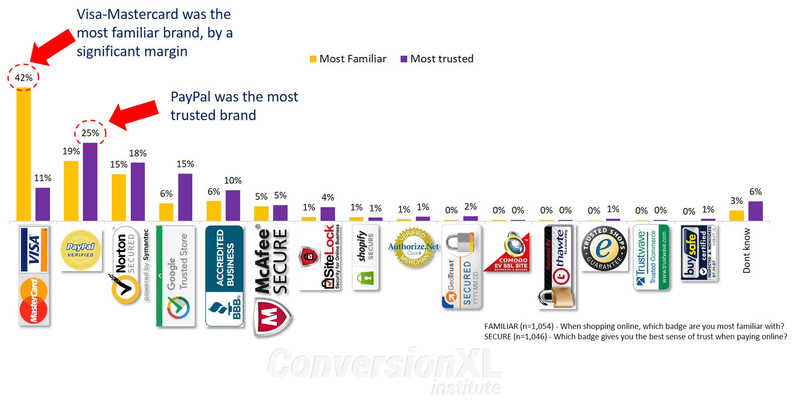 Familiar brands like Visa, Mastercard, PayPal, Norton, and Google were also the most trusted seals when paying online. Surprisingly Paypal was trusted by older (50+) participants relative to millennials. 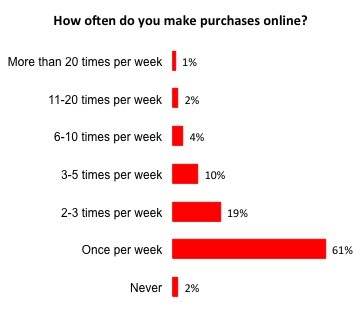 Most respondents purchased something online at least once per week (98%) with over two-fifths (42%) feeling concerned about security at least half the time. Unaided awareness was very low for most trust seals, although once aided with the image of the trust seal badge, awareness increased significantly. 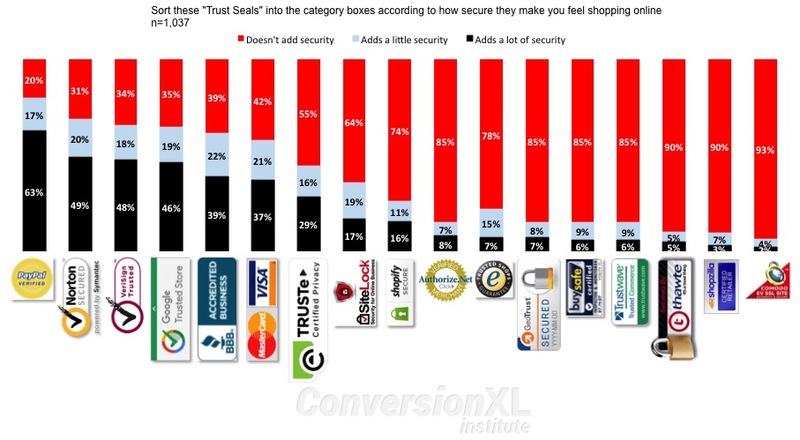 When shopping online a PayPal Trust Seal added significantly more security than any other brand. BUT, those frequently concerned about online security were significantly more likely than those who were not to feel a SiteLock (20% vs. 14%) trust seal made them feel more secure when shopping online. If you can test, then do so with the top 5 or so results. ‘Paypal-verified’ provides the most trust, followed by Norton, Google Trusted Store, Visa-Mastercard, then BBB. If you can’t test, then implement trust seals with the help of this study. However, as demonstrated here, a quick survey is not too difficult and doing one analogous to this with your customers could help you narrow down your choice of trust seal. Though, if in doubt, use Paypal. If you’re primarily concerned with convincing ‘insecure’ shoppers, test a SiteLock seal. 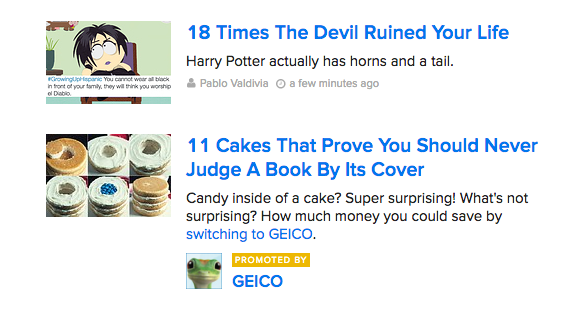 “Trust Logos” or “Site Seals” could really mean a lot of different things. They include privacy seals, brand association badges, or SSLs (secure sockets layers) which actually create encryption between the user’s browser and the receiver’s server. Here we generally refer to them as Trust Seals, as they are all logos intended to convey trust onto the webpage, even if they differ in how they do so. This research identifies which logos exude perceived security. This is an important distinction to make since users don’t necessarily care about what a trust badge actually signifies (whether the seal is anti-viral, SSL, payment protection, and so forth). Instead, they simply want to see a trust seal that gives them the feeling that their information is in safe hands. When asked “Which badge gives you the most sense of trust when paying online?”, almost half of all participants (49%), didn’t know which badge was most trustworthy or simply had no preference. 35.6% of participants voted for Norton’s antivirus seal. McAfee’s SECURE seal came in second receiving 22.9% of participant preference. Remaining seals tested: TRUSTe, BBB, Thawte, Trustwave, GeoTrust, and Comodo. Participants showed no preference between trust seals and SSL seals but did show a preference for antivirus companies (possibly due to their familiarity with them). This last point, the possibility that users’ preference for trust badges is determined by their familiarity with them, is the one we considered when expanding on Baymard’s study. (Disclaimer – we are not explicitly duplicating the Barymard study, rather we have different questions about trust seal perceptions). In this research study, we hypothesize that participants will prefer the trust seals they are most familiar with. Additionally, we took data on age and gender so we could look for any patterns of familiarity or perceived security across those variables. This study will be split into two parts because the methodologies were slightly different. However, the conclusions are all related. 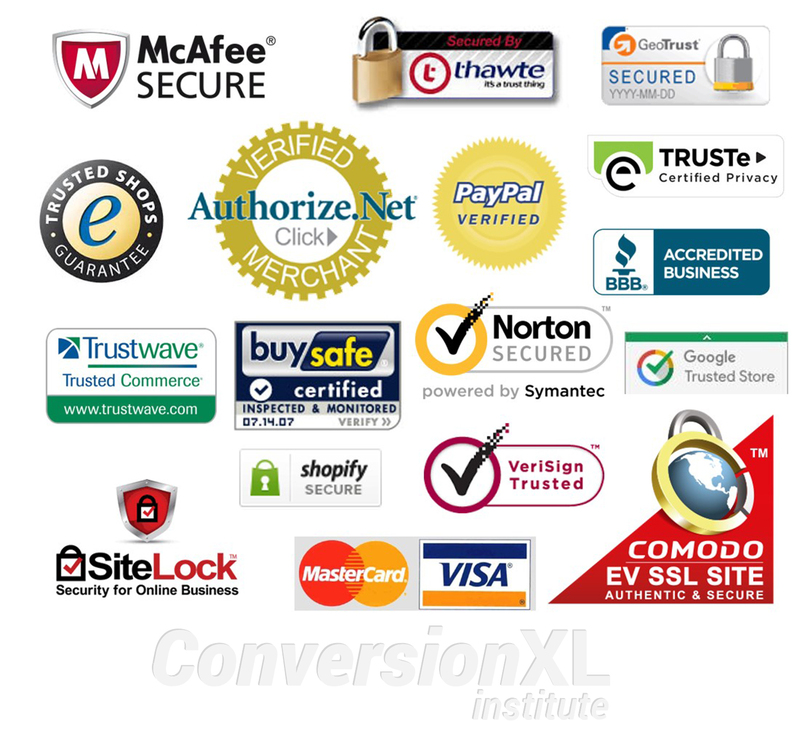 First, here are the trust seals, which vary how or what they claim to provide….business or site trust (i.e., BBB, McAfee, TrustedShops), security (i.e., SiteLock, GeoTrust, thawte, Comodo), or simply brand associative trust (i.e., paypal, visa, google, shopify, etc). We added the Visa-Mastercard logo not as a pure trust seal example (though it has been historically), but as a sort of benchmark test to explore the idea that familiarity doesn’t always provide security…it is our hypothesis that perceived trust won’t match the familiarity of it. Note, we also had a “Do not know or no preference” choice in the surveys. We surveyed a total of 2,100 people, all from the United States. Our study setup differed from the Baymard study in that we used SurveyGizmo combined with Amazon’s Mturk (instead of Google Consumer Surveys) so that we could randomize the order of trust seals, and show more at once. We did two surveys, both asked respondent age (in 10yr intervals) and gender. One asked “Which badge gives you the most sense of trust when paying online?” (1,054 respondents) & the other asked “When shopping online, which badge are you most familiar with?” (1,046 respondents). 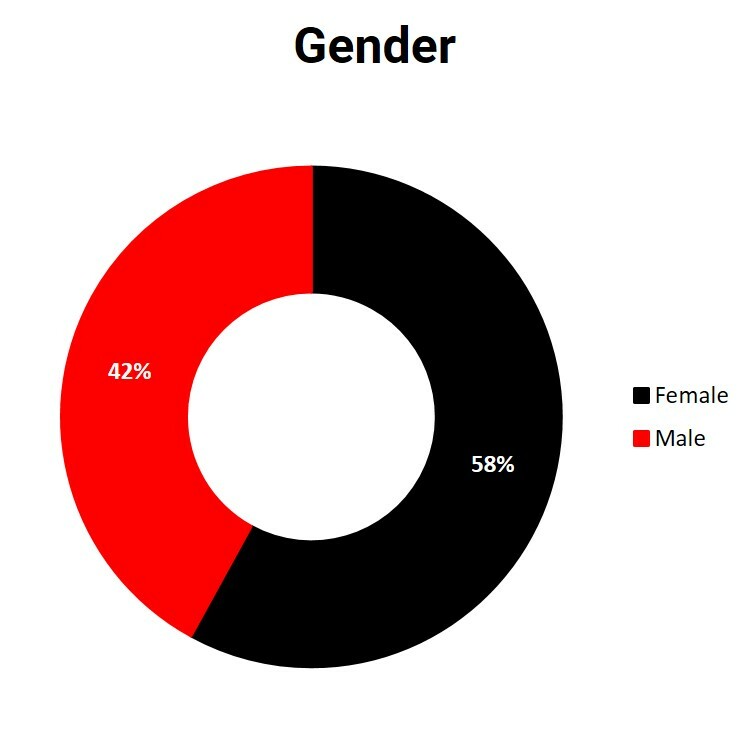 Both surveys combined had approximately 51% male and 49% female. Takeaway – Familiar brands like Visa-Mastercard, PayPal, Norton, and Google were also the most trusted when paying online. The Most Familiar vs. Most Secure chart plots familiarity (x-axis) against security (y-axis). The red dashed line shows where respondent perception of familiarity and security would meet if they were equal. The hypothesis that familiarity accurately predicts a populations’ perception of security is generally supported. For the most part, greater familiarity also meant greater feeling of security. The exception, as hypothesized, is Visa/Mastercard, which was the most chosen badge by the familiarity group. The familiarity group and the security group chose the trust seals in roughly the same frequency and most badges stick close to the dashed red line. 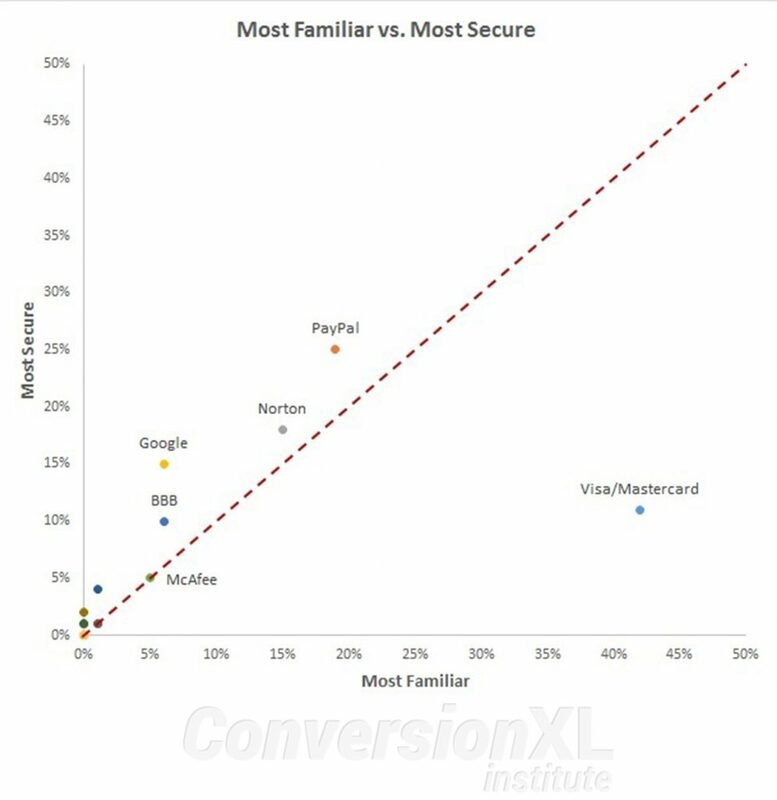 PayPal was selected as both more familiar and more secure than Norton, which was similarly chosen more than Google Trusted Store, BBB, McAfee and so on. 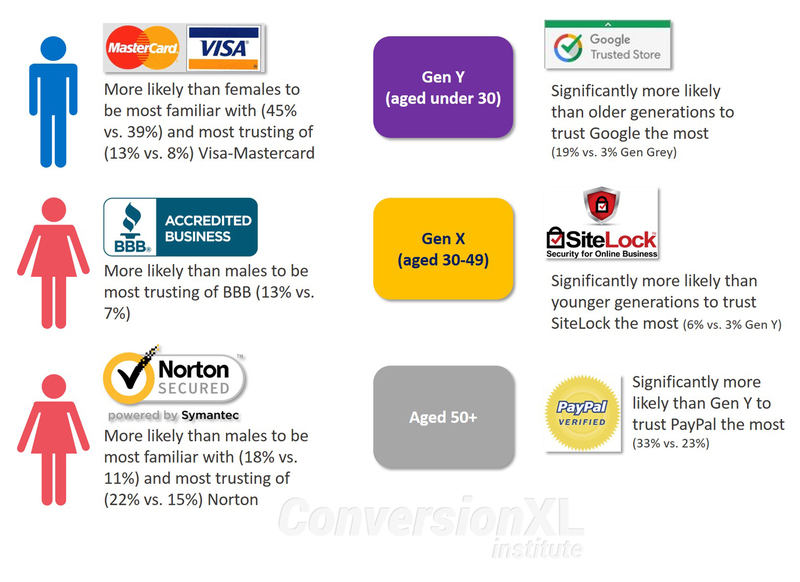 Takeaways – ‘Google Trusted Stores’ was trusted more by millennials (Gen Y) compared to older people, Sitelock did well with middle age (Gen X) compared to millennials, and surprisingly Paypal was trusted by older (50+) participants relative to millennials. One in four respondents (25%) say PayPal gave them the best sense of security. Across all of the age brackets, PayPal was the most chosen, or tied for most chosen. 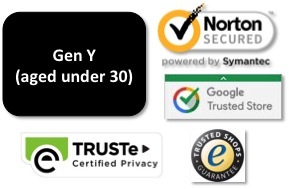 For the Google Trusted Store, 20 to 30 year olds are statistically more likely (19%) than the total (15%) to say that the Google badge gives them the best sense of security. An interesting trend for Google and security is older respondents are progressively less likely to say Google gives them the best sense of security. Among those over the age of 50, only 3% say it gave them the best sense of security, a statistically lower percent than the total (15%) of those who selected Google. 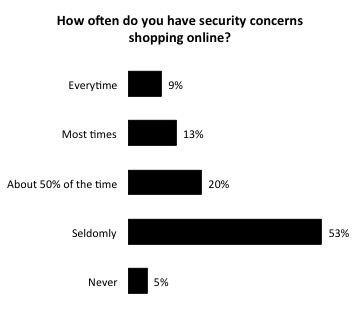 How often do you have security concerns shopping online? What are types of things you buy online? Types of things you avoid buying online due to security concerns? Then we showed them a long set of trust seal images and ask them to sort the images into 5 categories. Responses included – Books, clothes, electronics, household goods (‘toiletries’), pet supplies. Many people responded with ‘nothing’ or ‘can’t think of anything’. Other responses included – things from ‘unfamiliar websites’, things ‘out of the country’ or ‘overseas’, ‘big ticket’ or ‘expensive’ items, jewelry, cars. the vast majority of responses here were related to credit card information theft and fraud. Secondarily, responses mentioned identity theft. So the terms ‘personal information’ or ‘credit card’ was used for just about every response. Otherwise, ‘unknown websites’ was a common concern, and less commonly reported was viruses, spyware, phishing, hacked, and bank accounts. 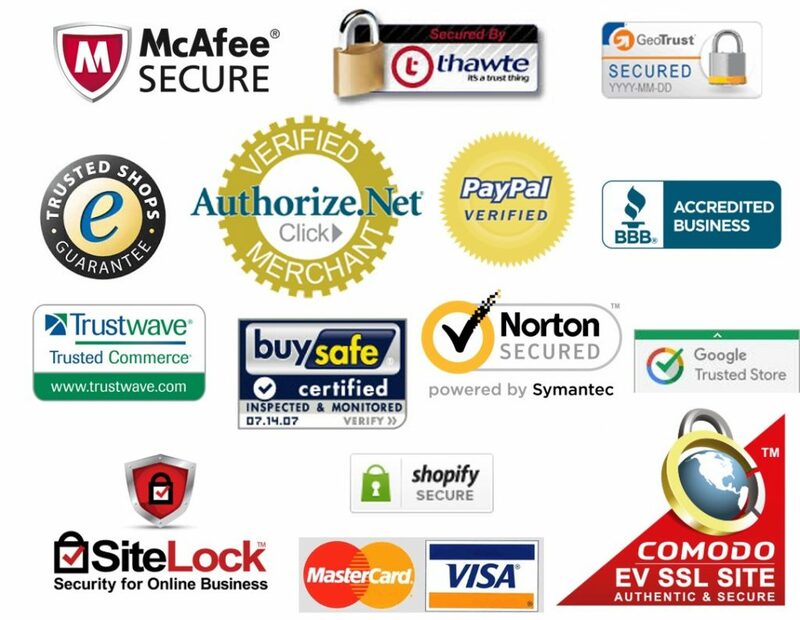 First, here are the trust seals, which vary how or what they claim to provide….business or site trust (i.e., BBB, McAfee, TrustedShops), security (i.e., SiteLock, GeoTrust, Thawte, Comodo), or simply brand associative trust (i.e., PayPal, Visa, Google, Shopify, etc). Note, we added a couple new trust seals to this study that were pointed out as missing from our Part 1 study, these are the Verisign and TrustE seals. The unaided awareness of trust seals supported the Trust Seal Part 1 study, with Paypal (17%), Norton (6%), BBB (7%), & Google Trust Store (4%) each being mentioned at least 4% of the time. Generally, unaided awareness was very low for most trust seals, although once aided with the image of the trust seal badge awareness increases significantly. Gen Y (aged under 30) were significantly more likely than Baby Boomers (aged 50+) to feel a Google (54% vs. 31%), Norton (54% vs. 45%), TRUSTe (31% vs. 20%) or Trusted Shops (9% vs. 3%) trust seal made them feel more secure when shopping online. Those frequently concerned about online security were significantly more likely than those who were not to feel a SiteLock (20% vs. 14%) trust seal made them feel more secure when shopping online. The most trusted seals might also be the most visually simplistic/clear, and are preferred for this reason. Generally, the more familiar a trust symbol is, the higher it is rated in terms of perceived security as well. 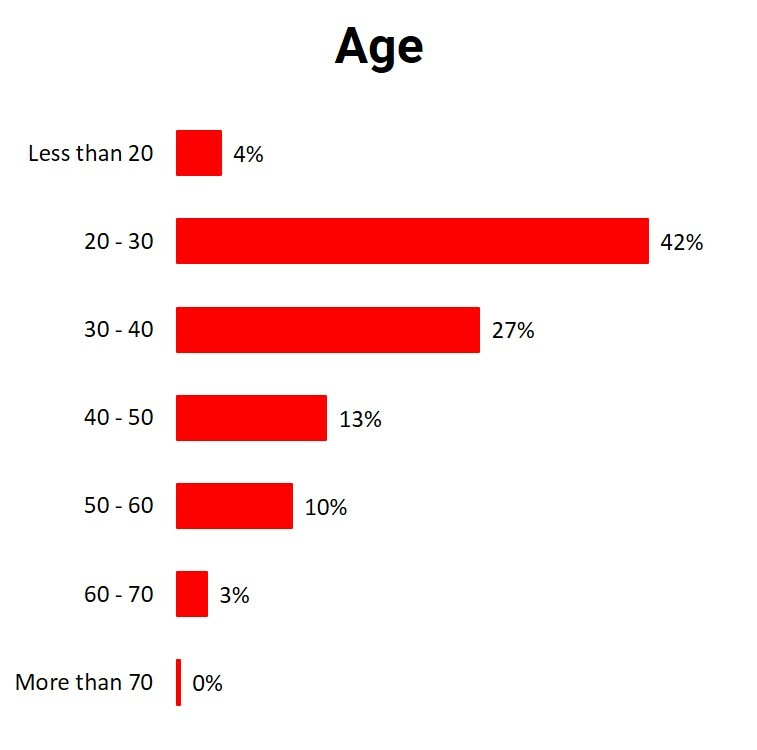 There were also gender and age differences in perceived security, so make sure to optimize for your specific audience. Great stuff? Do you have these results split across demographics like age and gender? You have PayPal verified in this list but this is no longer a viable seal supported by PayPal. It has since been replaced ( https://www.paypal.com/webapps/mpp/logo-center ) I’d be interested to know how one of their new seals would rate such as “Secured by PayPal” versus the older verified seal. hey Rob, thanks for the heads up, or initial study setup (a while ago now) just focused on a commonly used version. Would be interesting to compare versions, we’ll keep that in mind. Thanks for the comment, cheers! I wonder how this transfers over when it’s applied to A/B testing. I’ve personally done extensive testing on the McAfee Secured trust mark. I was actually their partner for some time, when a client wanted proof of the ROI of having that badge on their site. That McAfee trust mark in particular produced a lift between 7% and 20% relative improvement to primary goals, when I worked with it. You guys should do a follow up where you A/B test these badges! We absplit PayPal on a purchase screen and it resulted in fewer conversions. We wondered if PayPal has associations with amateur sites and this could lead to mistrust. We did remove some information about availibility to make room for it though, so who knows? Amazing study! This has really helped out with building my website. Appreciate the good R&D behind this article. Is the original full paper study results available for download or view? I want to know the difference in trust badges across different age groups within female group. Hi Jason, no full paper available, and all reasonably important/significant findings were presented in the article. If you don’t see an association made, then it wasn’t found to be worth mentioning basically. There were a few patterns relevant to gender, and those are listed. Let me know if you have other questions on this or have an application worth discussing. Very interesting and helpful! The next round I would love to see a made up symbol like a green lock with a checkmark. I had a coworker who replaced recognized logos with recognized symbols of trust (locks, green, checkmarks, ect). The symbols performed better. We hypothesized it was because more people recognize symbols over brands.